Teens are not the top users of the newest and hottest social networking site. 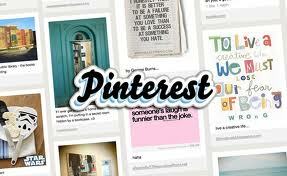 Pinterest, the latest social networking website has taken the interest of a surprising group. Home to over 12 million users, Pinterest’s top users are women aged 35-44 according to a recent study by Google’s Traffic Statistics shown on Mashable.com. It is most popular in the United States however, it has been making its way to the United Kingdom where 200,ooo people have an account. So what makes Pinterest so appealing? For starters, it’s simple and easy for anyone to use. It’s a new and fast way to share ideas on a variety of topics, from food and fashion to sports and cars. It allows users to organize and share anything they want. The most popular “pins” for users in the U.S. are on crafts, gift ideas, hobbies, interior design, fashion and blogging. Compared to the United Kingdom where they’re more interested in Venture Capital, blogging, public relations and marketing. The US is using it more as a leisure and a way to share and find new ideas on any topic, whereas the UK is using it for business and marketing purposes. Pinterest is the number one paid for app in the social networking category according to TopAppCharts.com. The app makes everything available whenever you need it. So why aren’t teens using it the most? And for the small percent who are, what are they using it for? Quotes, pictures, craft and fashion ideas seem to be a big hit with teenage girls, explained Ashley Gochenaur. Because there are very little limitations as to what you can post or search and this is a major reason as to why Pinterest is starting to attract more teens. “Pictures and comments are not filtered, so inappropriate material and language can potentially be shared,” said Renata Rowe who writes for icybersafe.com. There is also only one privacy setting on Pinterest. So not only is Pinterest a way for teens to share ideas with each other and plagiarize photos or quotes, there are little to no limitations as to what they can post and what they are able to view. It opens up a whole new world to them. “This is a teen’s dream! Imagine the sheer freedom of being able to pin up anything that interests them for everyone to see. The catch for young players is that their definition of ‘interesting’ may not always be ours,” said Rowe. Pinterest may not be networking like Facebook or Twitter where you can see exactly where people are, what they’re doing or even chat with them, but Pinterest is beginning to challenge top social networking sites such as Facebook and Twitter. “The word is: Teens are leaving Facebook for Pinterest,” said Rowe. As of now it looks like the roles have reversed as middle aged women have taken the newest social networking site to the top. Will teens take back the crown as masters of the internet and all social media/networking site? Only time will tell, but for now, parents pin.